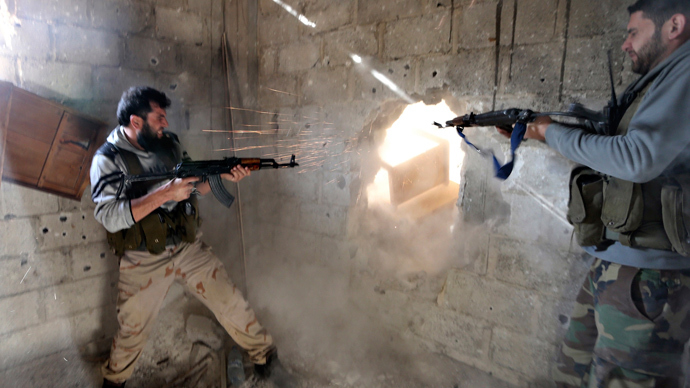 Paris and London will call for an early unscheduled EU meeting on the Syrian arms embargo in order to lift the ban. 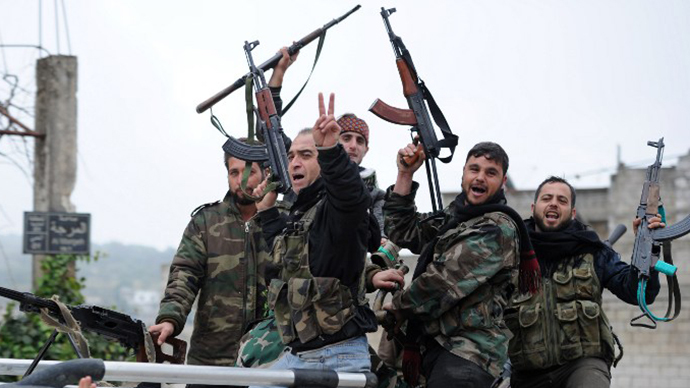 If the union does not end the embargo, the two nations will still arm the Syrian rebels, France said. "We along with the British will ask for the meeting to be moved up," French Foreign Minister Laurent Fabius said, adding that "Lifting the embargo is the only means of moving things on a political level." The next meeting is scheduled for May, but Fabius said that Paris and London are attempting to move it forward to before the end of March. Fabius also hinted that France and Britain are ready to arm Syrian rebels without unanimous EU support. If the embargo is lifted, “the resistance fighters [will] have the possibility of defending themselves,” he asserted. The French President, ahead of the two-day EU summit this weekend, called on EU leaders to the lift the embargo to help the Syrian opposition. "We want the EU to lift the embargo …We are ready to support the rebellion, to go there. We need to take responsibility," said Hollande. Last month, the EU amended the embargo to allow member nations to supply the Syrian opposition with "non-lethal" equipment and training, but did not lift the ban entirely. The two countries have repeatedly pushed for an end to the ban: In December, British Prime Minister David Cameron urged an early review and possible lifting of the arms embargo, in order to greenlight the delivery of equipment and supplies to the Syrian opposition. The EU imposed the arms embargo, and other sanctions, against Syria in May 2011, following two months of conflict in the country. Since then, the union has held several meetings to discuss the possible repeal of the ban, but the embargo has remained in place. Fabius claimed that since Russia and Iran are sending weapons to Assad’s forces, the opposition has way to properly defend itself. Iraq strongly denied the accusations: Ali Moussawi, Iraqi Prime Minister Nuri al-Maliki's media advisor, said on Wednesday that "such a thing never happened. Weapons did not and will not be transferred from Iran to Syria through Iraq, whether by land or by air." Russia has repeatedly insisted that it is only fulfilling contracts it already signed, which includes sending only defensive weapons. 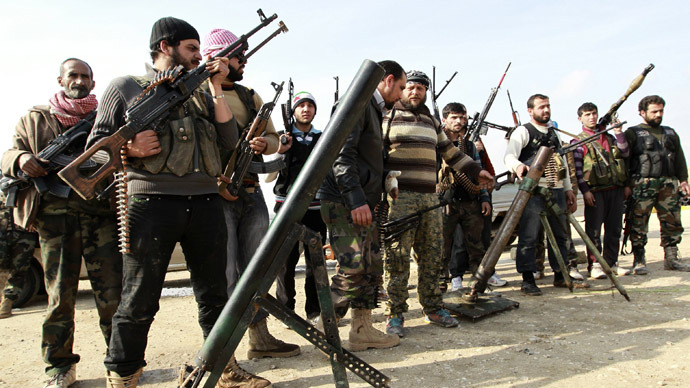 Moscow has spoken sharply against supplying arms to the rebels. 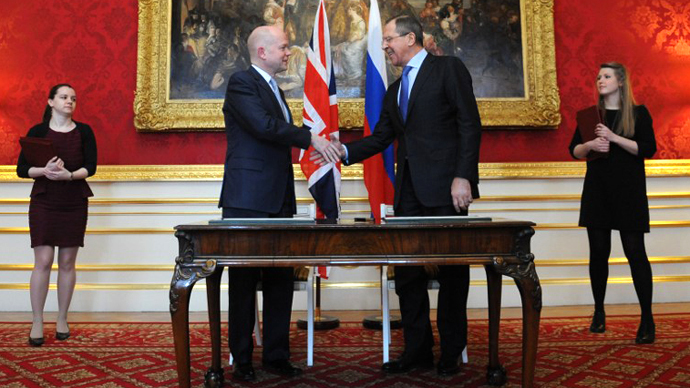 Any plans to arm the Syrian rebels would violate international law, Russian Foreign Minister Sergey Lavrov said on Wednesday as he met with British Foreign Minister William Hague. “As for the possibility of arming the opposition, as far as I understand, it is not allowed by international law, that's why arming of the opposition directly or indirectly will be the violation of the international law,” Lavrov said. 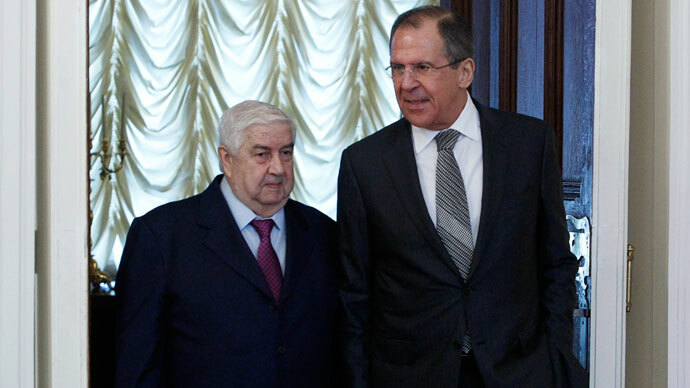 The Russian Foreign Ministry is also opposed to the Syrian rebels’ membership in the Arab League, as this would legalize the supplying of arms to the opposition, including terrorists from militant group Jabhat al-Nusra. Last week, the league issued a statement offering a seat to Syrian rebels, and that Arab states are free to offer them military support.